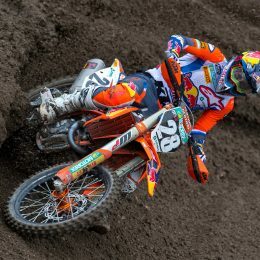 The MotoGP returns to Austria in 2016 – KTM right at the center of the action AND taking part! The Motorcycle World Championship will return to Austria from August 12 – 14, 2016. 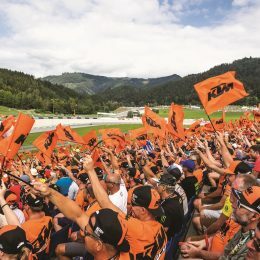 With the KTM FAN PACKAGE at the Red Bull Ring in Spielberg you can experience the elite class of motorcycle racing close up and personal. In addition to our Moto3 factory riders competing, KTM’s MotoGP bike will also celebrate its first public appearance. 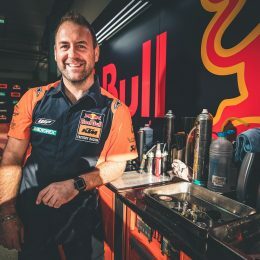 The KTM Stand in the infield, with a capacity of more than 8000 seats, and the “Bull” in the background, is going to represent the very center of the Orange Family. As well as admission to the event on Friday, Saturday and Sunday, the entry ticket also includes the following exclusive content. *Price includes 20% Austrian VAT and may vary in other countries due to different VAT. 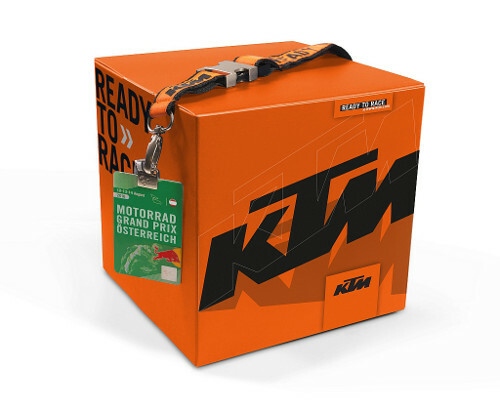 Order your KTM FAN PACKAGE at KTM Dealers in advance and pick them up at beginning of May 2016. ATTENTION: Please take note of the sizes for women’s and men’s versions of the T-Shirts!